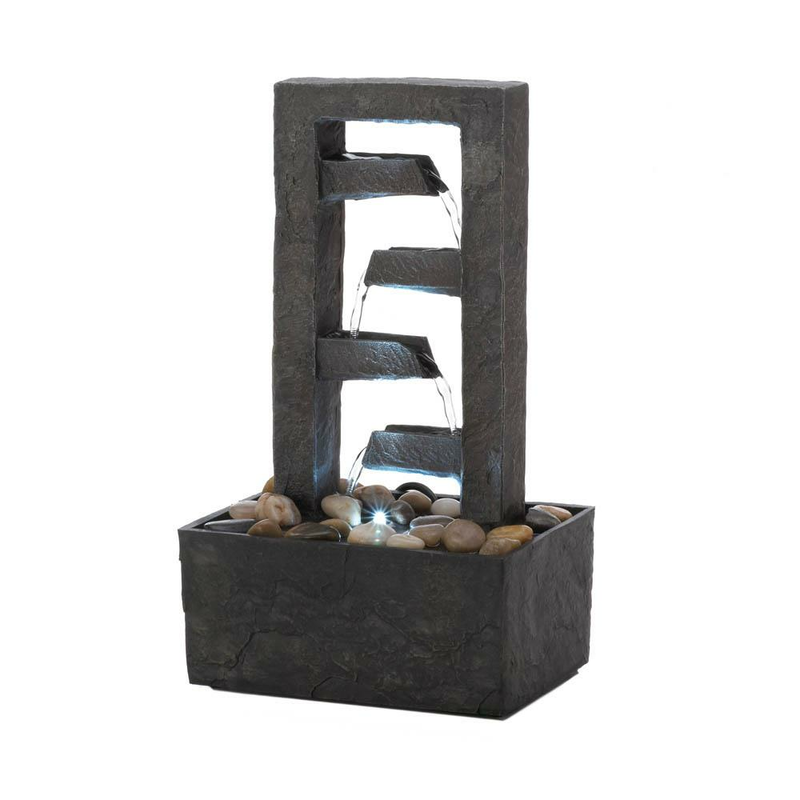 Peace, harmony, and great design come together to create a fantastic water fountain for your living space. 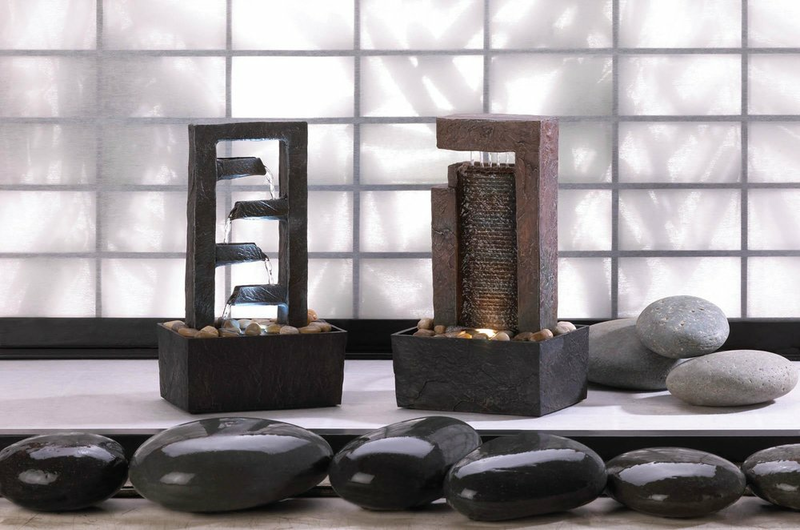 Water cascades from level to level, creating a soothing sound and ambiance that’s highlighted by internal LED lighting. Submersible 7V water pump included. Weight 1.8 pounds. 5.88" x 4" x 9.75". Polyresin, plastic, LED light. UPC Number: 849179027537.